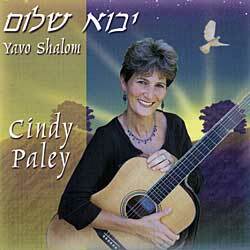 Notes Cindy's sparkling voice together with Maya Haddi-Zebley radiates a delightful blend to contemporary Israeli songs. Their energetic style and terrific harmonies will connect you to the spirit, history and dream of Israel. Singable English verses are included in the 15 songs to assist you in understanding some of the best of Israeli music.